Google makes small changes to its core algorithm on a daily basis, sometimes more than once a day. 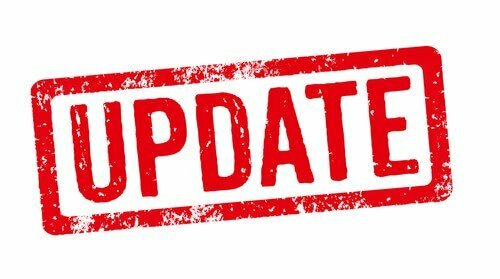 There are literally hundreds of updates a year but every few times a year, Google rolls out a broad core algorithm update, and these updates can have an effect on rankings. There is no way to know exactly how this update will affect rankings or what certain ranking factor it is targeting, but of course, there has been much speculation. Google did actually offer a few clues about this recent broad algorithm update. They stated that the update is really geared towards providing better search results and although the update is focused on content, it is not about the quality of content. Based on these clues that Google offered we can theorize that the update may be about the search value of content. For example, how well a site or page answers a specific query because it is about improving search results for users, meaning showing more relevant results than it has been. Google also announced that there is nothing wrong with sites that may have lost ranking due to this update and that there is no clear-cut way to fix sites that have dropped in rankings. Simply continuing to provide quality content is the only advice they give and advice that should never have to be forgotten. Whatever the next big update is it is always imperative to not slack on content. If you have any questions regarding Google’s algorithm update or any other SEO related questions, contact the professional at Boston Web Marketing today!